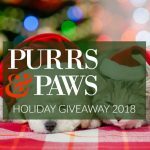 Paws & Santa Claws Holiday Giveaway - Spoil Your Pets - Win BIG Prizes! 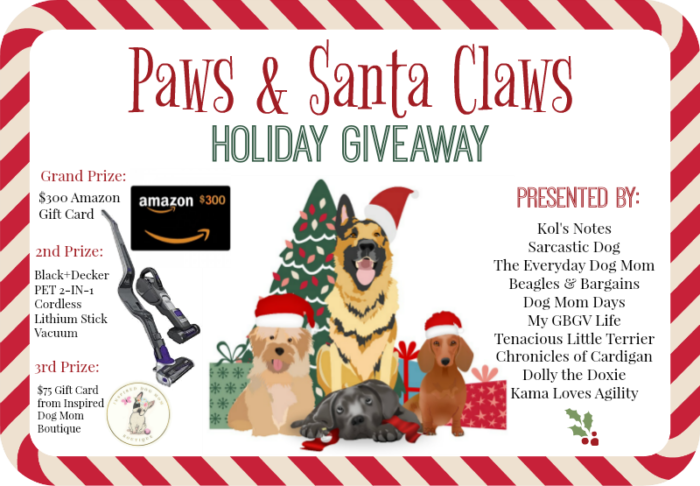 Spoil Your Pets with the Paws & Santa Claws Holiday Giveaway | Win BIG Prizes! Can you believe that December is just around the corner? And then Christmas is soon to follow? Not me! I’m still stuffed with pumpkin pie from Thanksgiving last night and Ralph & Luna are planning one long siesta from all the commotion of having 15 family members over to visit. But even if I’m not ready, December is coming and so are the holidays. Holidays often mean gifts and this time I’ll be the one giving a gift to YOU! If you keep reading, you’ll find out how you can enter to win a $300 Amazon Gift Card and several other amazing prizes. So keep scrolling because you and your dogs won’t want to skip entering this giveaway. 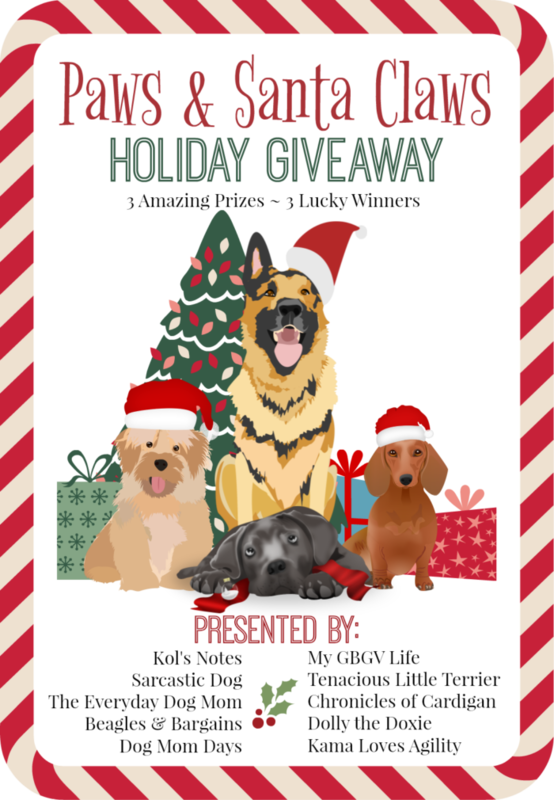 For this giveaway celebration, we’ve partnered up with 9 super duper cool pet bloggers to giveaway three AMAZING prizes. Trust me. These prizes are so good, you won’t want to miss out! In fact, your dog might have to return his or her present for you to the store if you don’t enter and you DON’T want that! Recently my friend Christina of The Everyday Dog Mom launched an amazing Etsy shop called the Inspired Dog Mom Boutique that caters directly to dog moms (and cat moms too)! I’ve been obsessed with many of the items she has added including printables, super cute t-shirts with relatable quotes, and of course her amazing leggings. I myself don’t have a pair, but I’m putting them on my Christmas list for sure! With a $75 gift card, you could get two pairs of leggings or anything else your heart desires from her fabulous shop. Do I even have to mention the $300 Amazon Gift Card? THREE HUNDRED DOLLARS. Imagine the how many treats you could buy Ralph & Luna with that. Hey get out of here, you silly dogs! Great question! First, you’ll want to check out the Rafflecopter at the bottom of this post (Wait, don’t scroll just yet! I’m explaining how this all works…). You can enter it just like you would any other Beagles & Bargains giveaway. There is one mandatory entry and whole bunch of optional entries that will open up once you complete the first entry. Feel free to enter as many as you can for more chances at winning and even come back each day through November 30, 2017 to tweet for even more entries! BUT WAIT! Your chances to win don’t end there. Since I’ve partnered with 9 other amazing pet blogs to host this giveaway, you can increase your chances of winning by entering on all 10 participating blogs. That’s 10 chances to win big! OKay now… what are you waiting for? Go ahead and enter here, then hop on over to the 9 other fantastic pet blogs listed below. Be sure to keep hopping until you have hit all 10 for the most chances to win! This giveaway ends at 11:59 PM EST on Thursday, November 30, 2017 and is open to US and Canadian residents (excluding Quebec and where prohibited by law). Three winners will be randomly selected on Friday morning and announced on Beagles & Bargains Facebook page (be sure to follow, so you don’t miss out)! The winners will be notified via email and each will have 48 hours to respond and claim his or her prize. 1. Enter to win right here on Beagles & Bargains via the Rafflecopter below. 2. Click through to all the other participating blogs. Enter as many or as few as you would like. More entries = more chances at winning. 3. Each of the 10 participating blogs will randomly select one (1) finalist from all the eligible entries on their blog. 4. Three (3) prize winners will be randomly selected from the 10 finalists. 5. Winners will be announced on Facebook and via email. Each winner will have 48 hours to respond and claim his or her prize. This is just the first of many Holiday giveaways here at Beagles & Bargains. Stocking Stuffer Giveaways are coming back starting December 1, 2017. Keep checking back for even more ways to win amazing prizes (almost $2,000 worth!) to keep your pet’s stocking full this Christmas. Tell us ALL about your pets! How old are they? Do you know what breed? How long have they been in your family? What is on your pet’s Christmas list this year? Have they been naughty or nice? Each participating blogger paid an entry fee which will be used to fund the grand prize. The items in the 2nd and 3rd place prize packages were generously donated by the participating brands. Please be sure to visit their websites to see all the amazing pet products they have to offer. 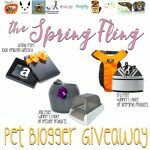 The BIG Spring Fling Pet Blogger Giveaway is Finally Here! Win Big! 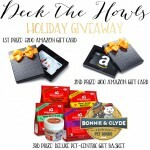 Celebrate the Holidays with the Deck the Howls Giveaway! This is a BIG One! 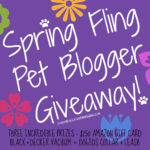 Spring Fling Pet Blogger Giveaway is Finally Here! 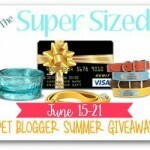 Summer is here and so is The Super Sized Pet Blogger Summer Giveaway!